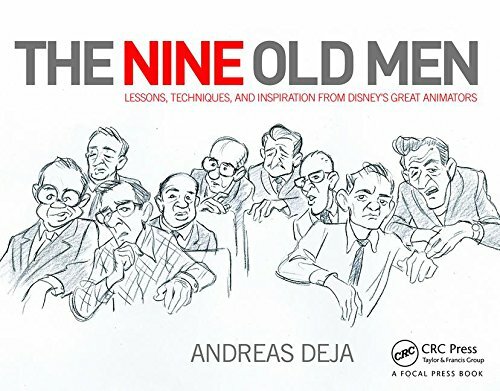 As I mentioned in a recent post, each of Disney’s Nine Old Men had not only high standards, but also strong opinions about when it came to looking at a colleague’s work. That doesn’t mean that they didn’t work closely together in an effort to get the absolute best result on the screen. 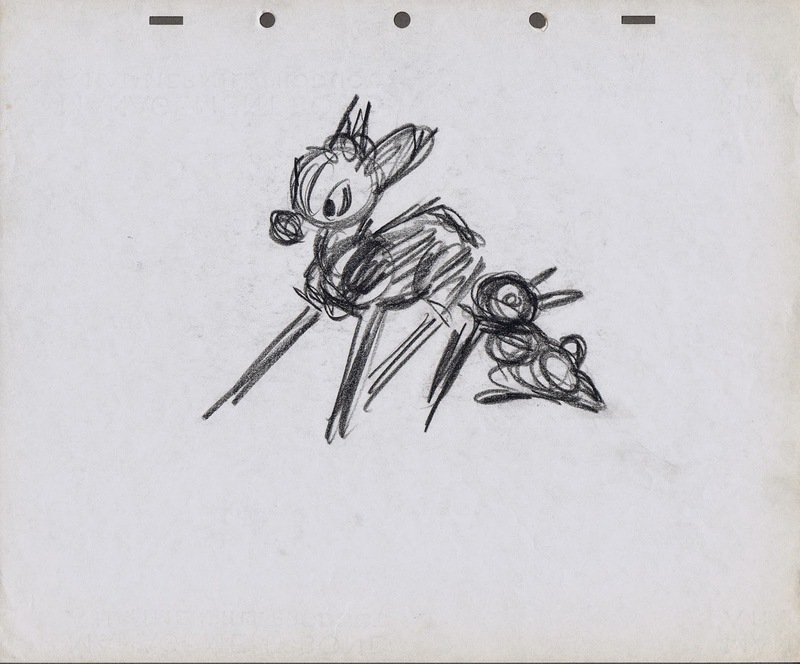 Milt Kahl often discussed acting possibilities with Frank Thomas, and Frank got help from Milt when it came to improving a drawing. 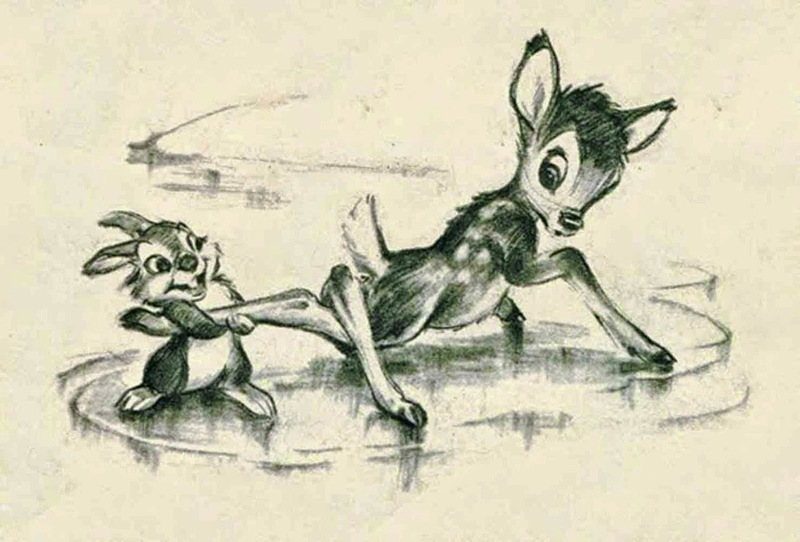 While working on Bambi, Frank was looking forward to animating the sequence with Bambi having trouble moving on ice, while Thumper performed like a professional skater. Then word got around that Walt Disney was thinking about cutting this section from the film. 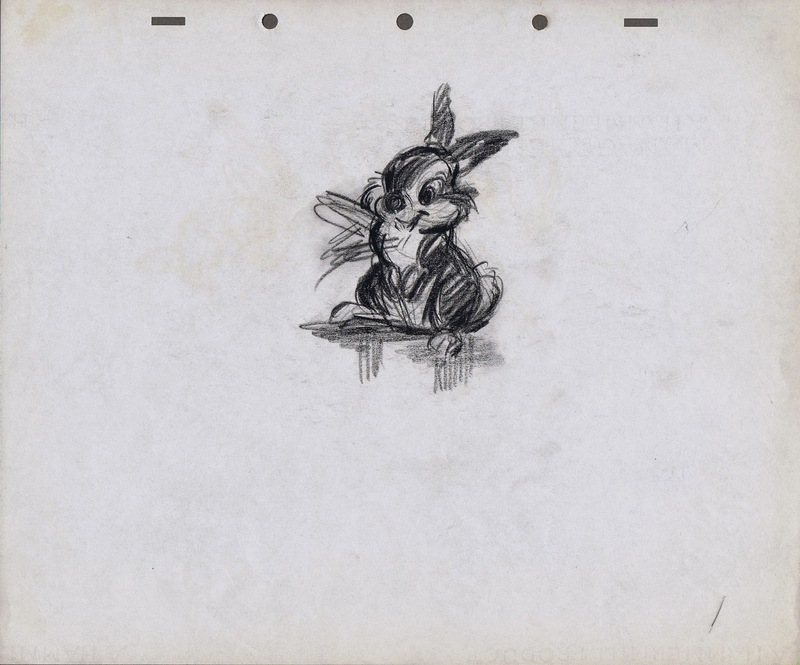 To prove the entertainment possibilities in the sequence Frank quickly drew a series of sketches and had them put on to film. The result convinced Walt that these character rich situations needed to be part of the movie. Frank's beautiful sketch above is a publicity illustration, based on his exploratory story work. 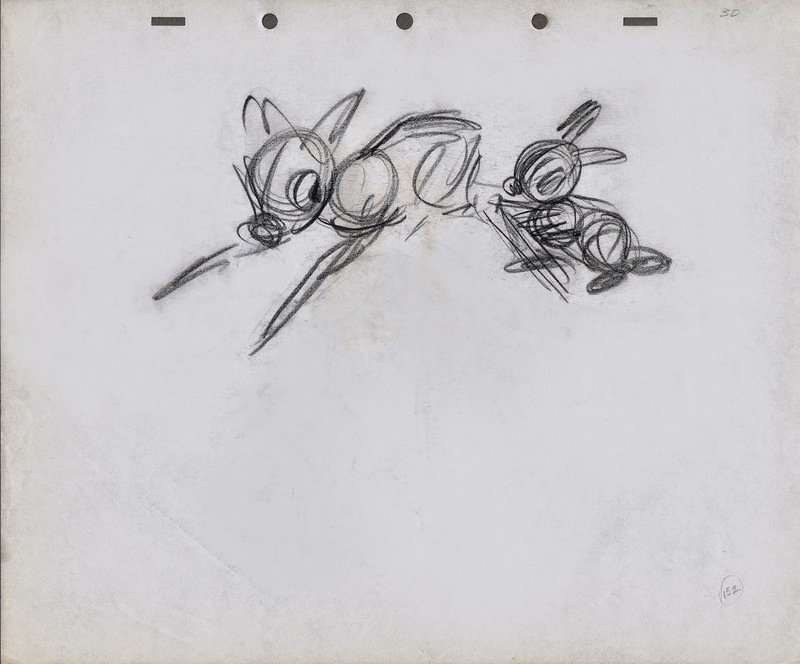 Years ago, when I came across the drawings below, I knew right away that Milt had also contributed to the sequence by helping Frank with staging certain poses and situations. 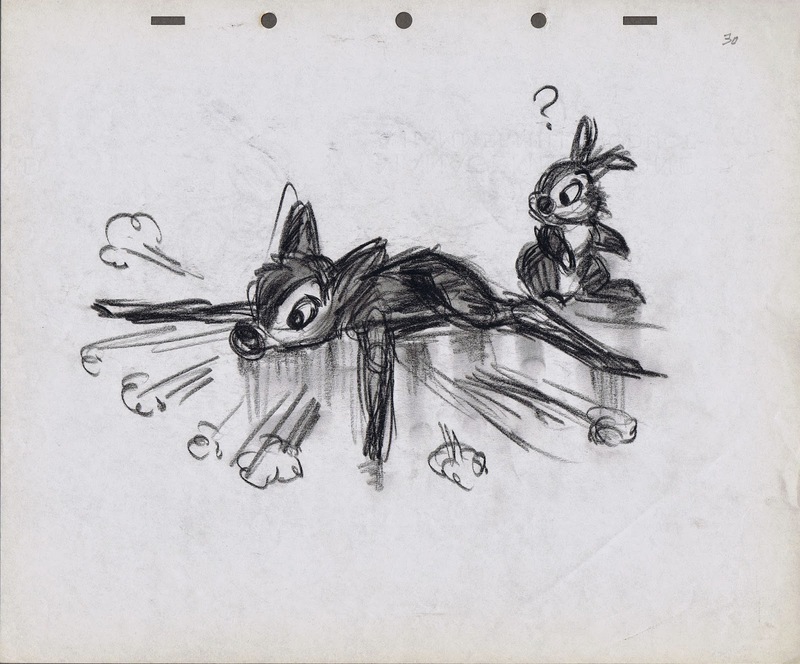 That kind of teamwork is one of the reasons why the studio was able to elevate animation to unimaginable heights. So far I have not seen any of Frank’s own story sketches for the ice skating sequence yet. But you never know when and where these gems might surface.